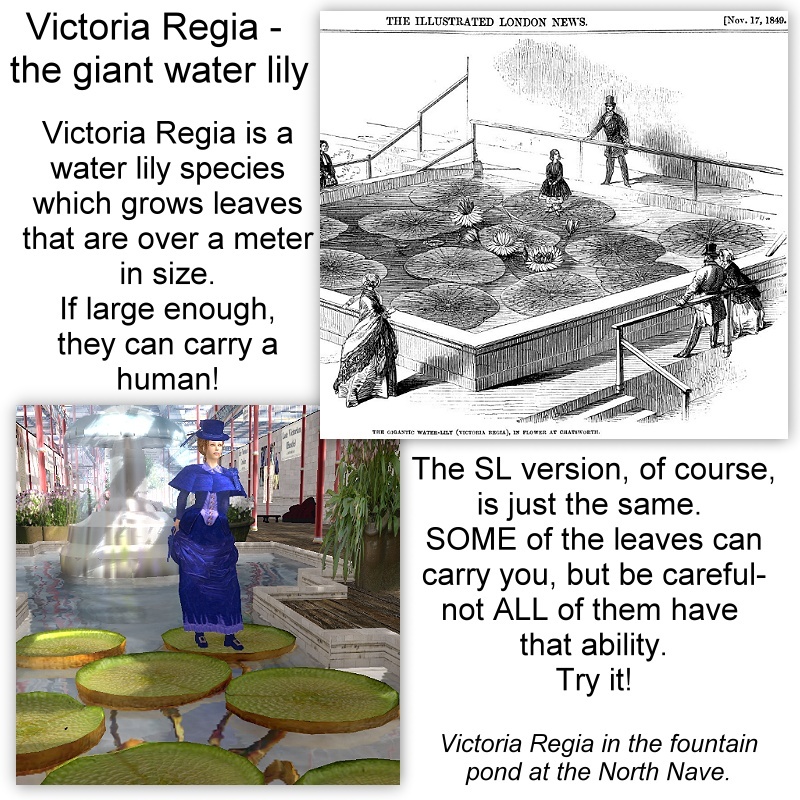 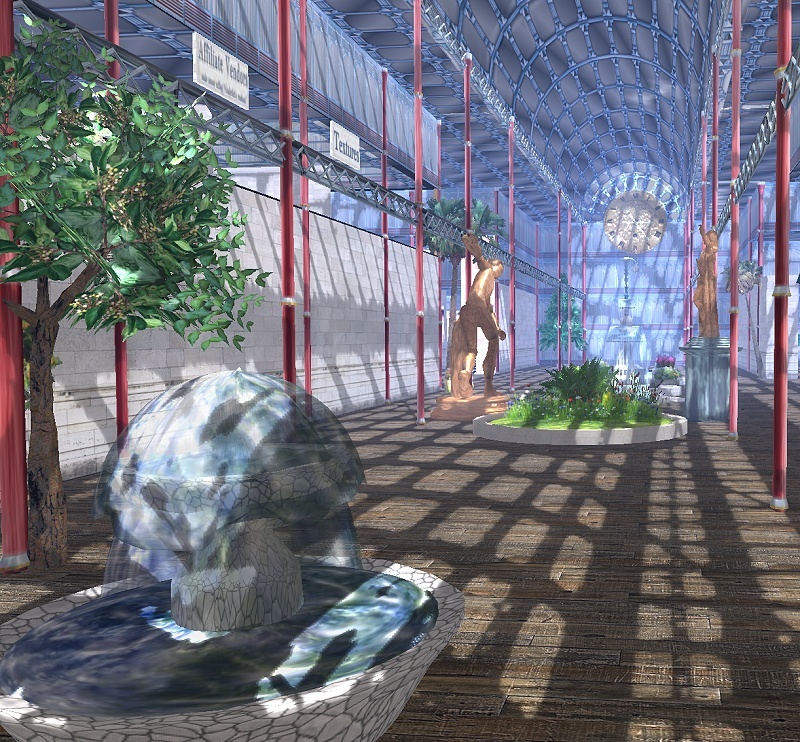 Wunderlich's Historical Garb » Blog Archive » The Crystal Palace in SL! The Crystal Palace in SL! I’m proud to announce that I’ve finally built what I wanted to build ever since I came to SL; the Crystal Palace in SL! 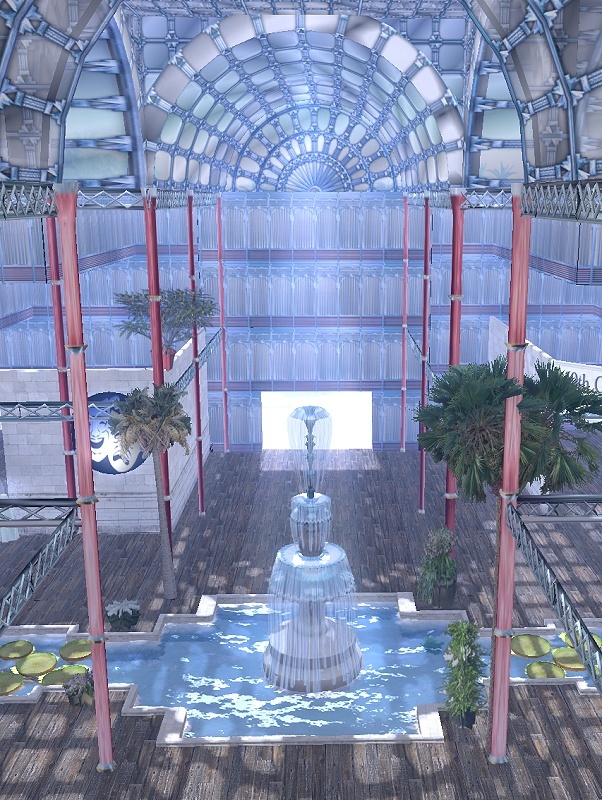 My SL reproduction is „just“ half the size of the original Crystal Palace, but still one sim long, and 1/4 sim wide! 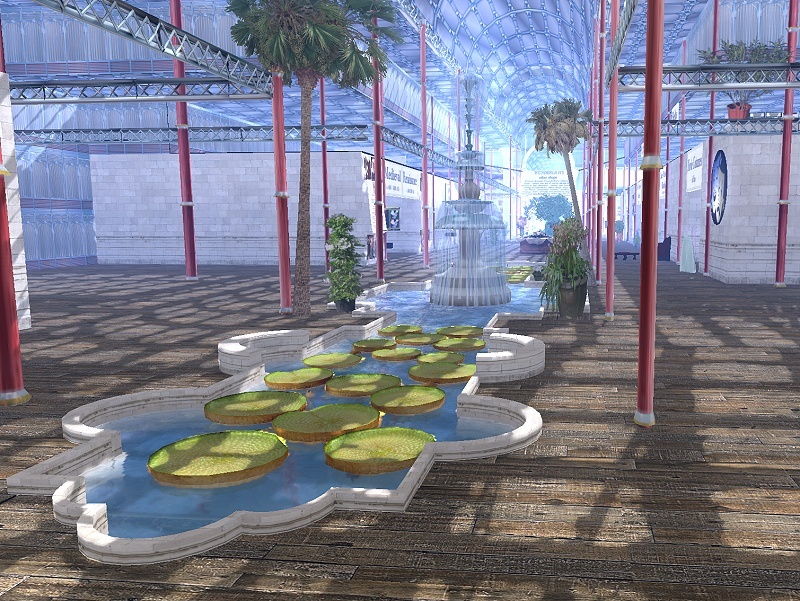 If you have no idea what the ‚Crystal Palace‘ was, please see http://en.wikipedia.org/wiki/The_Crystal_Palace for details. If you’re visiting the Crystal Palace, you’ll need to set your viewer to a high draw distance. 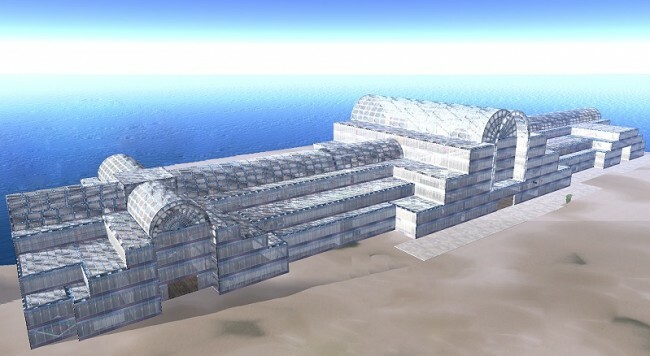 To be precise, if you’re standing at the very center, you’ll need at least 128 meters draw distance if you want to see the entire building – more if you walk to either side of it. 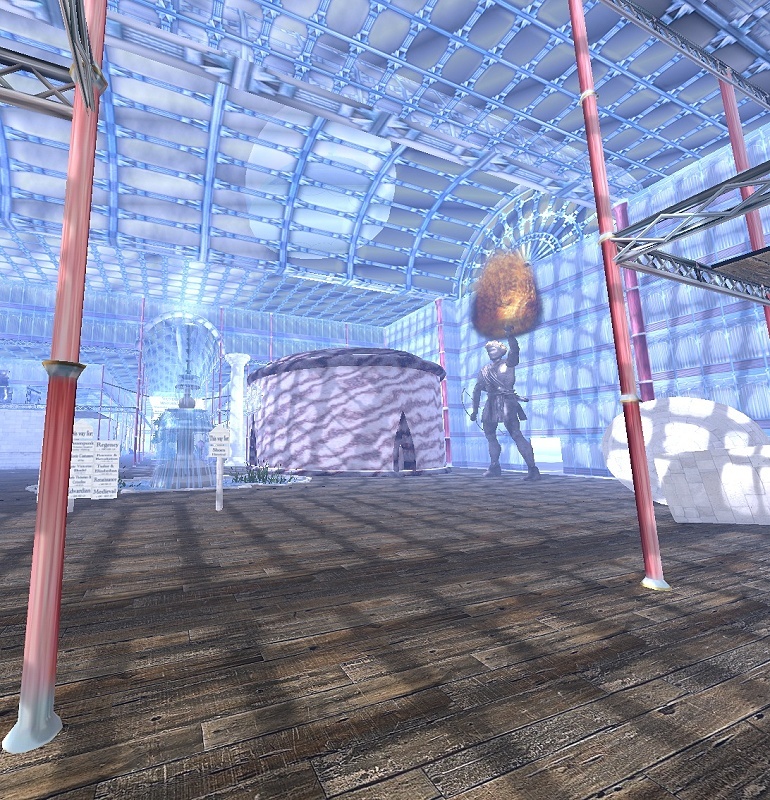 As I said, it’s one sim long (that’s 256 meters!)! 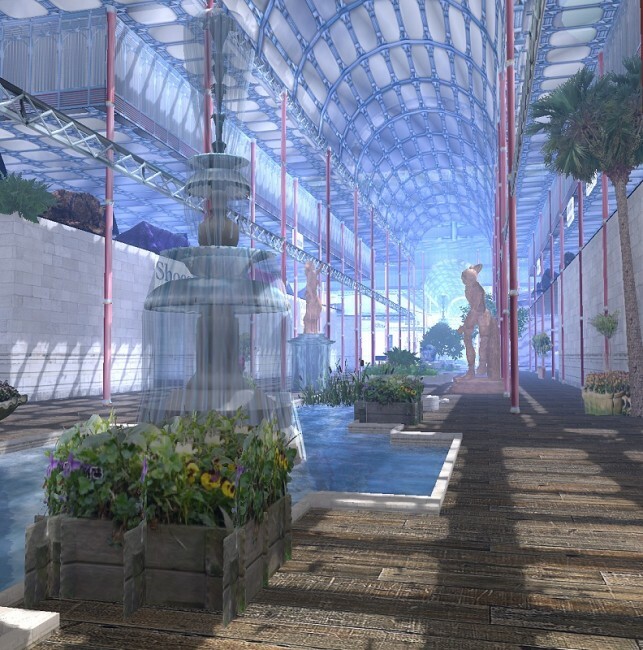 Hope you enjoy the Crystal Palace in SL; feel free to spread the news about its existence! Fantastic here! I’m surprised nobody’s tackled it before. 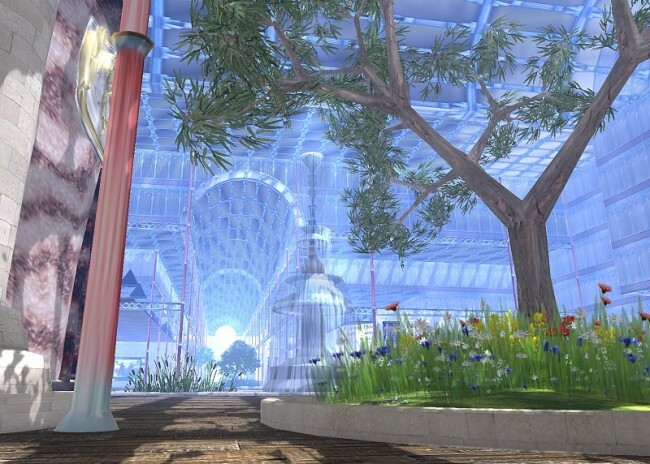 Is this going to be a permanent thing, or just a temporary? Thank you for mentioning the crystal palace and the Great Exhibition. 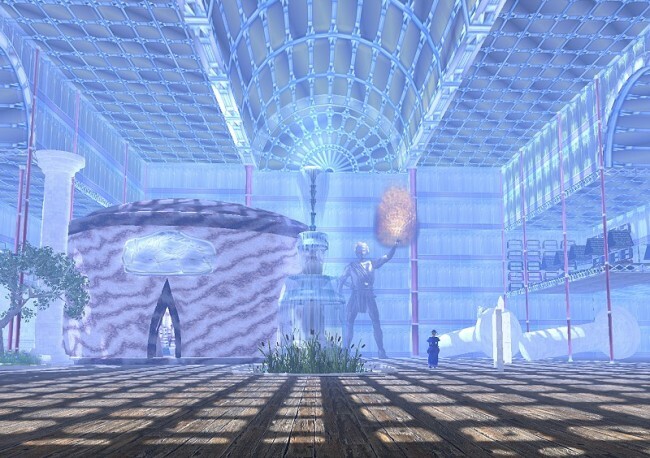 I dropped by and thought you might like to know that the building still exists in SL, and can be found at http://slurl.com/secondlife/Magellan%20Straits/127/172/26.